Green Construction is a specialized and skilled profession, and the author has extensive experience in this field. With this in mind, the reference is designed to provide practical guidelines and essential insights in preparing competent and professional looking ?Project Analysis Reports? and ?Project Status Reports?. The book also provides numerous tips on how to phrase the language of reports in a manner that is articulate and clearly understood by Real Estate Lenders and investors, as well as being an indispensable companion for both information and stimulus. 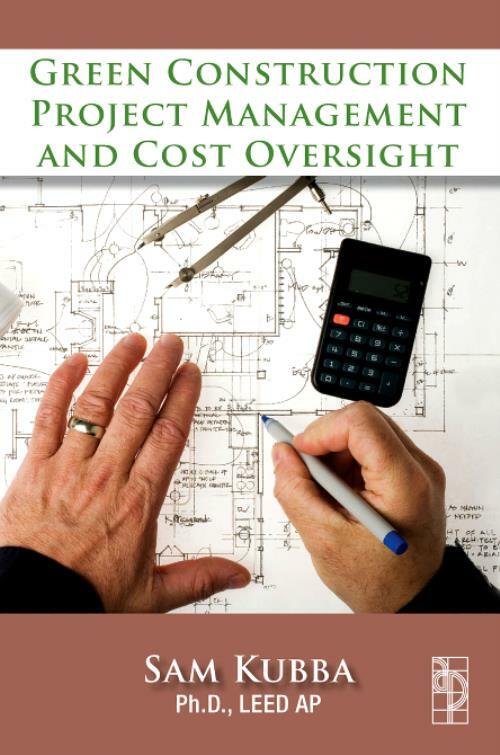 Written in a conversational manner, this book will clarify the nuts and bolts of green construction, finance, and cost monitoring? as a profession, and will outline the many attributes required to being successful in this field. Moreover, it will scrutinize the mechanics of organizing monthly meetings, contractor payment certifications, budgets, change orders, construction schedules, code compliance, waivers of lean, and much more. Drawing on over 30 years of personal experience across the world - both as an employee and as an employer, the reader will learn how to plan and implement sound business strategies and form alliances in a global context. The book also offers important information and penetrating insights into the process of setting up and working as a due-diligence consultant. In a clear, practical style, it will be explained how to identify opportunities for business development and how to maximize return. It will also articulate how to meet new challenges as well as avoid many of the pitfalls along the way. For the individual professional, this guide provides useful information and tips to help secure a high paying professional position. The book will include amongst other things, up-to-date information on hundreds of useful contacts. Topics covered in this guide include: types of services offered, the consultant's role on the construction loan team, what the lender needs to know, and marketing techniques. The guide will also include a comprehensive appendix that will contain numerous sample letters (e.g. for marketing and certification), building loan agreements, AIA forms, lender/consultant agreement, closeout documents and much more. Likewise included will be an extensive list of useful references from a variety of resources, and much more. Indeed, this handbook will be the most detailed & comprehensive program on the market. It meets all the criteria of a major work and will provide vital and absorbing reading. CHAPTER 1: Defining ?Green? & ?Sustainability? Sam Kubba is the principal partner of The Consultants' Collaborative, a firm noted for its work in sustainable architecture, interior design and project management. Dr. Kubba has extensive experience in all types and all aspects of architecture, interior design and construction. These include hospitality, corporate facilities, retail, renovations, restaurants and high-rise commercial structures.